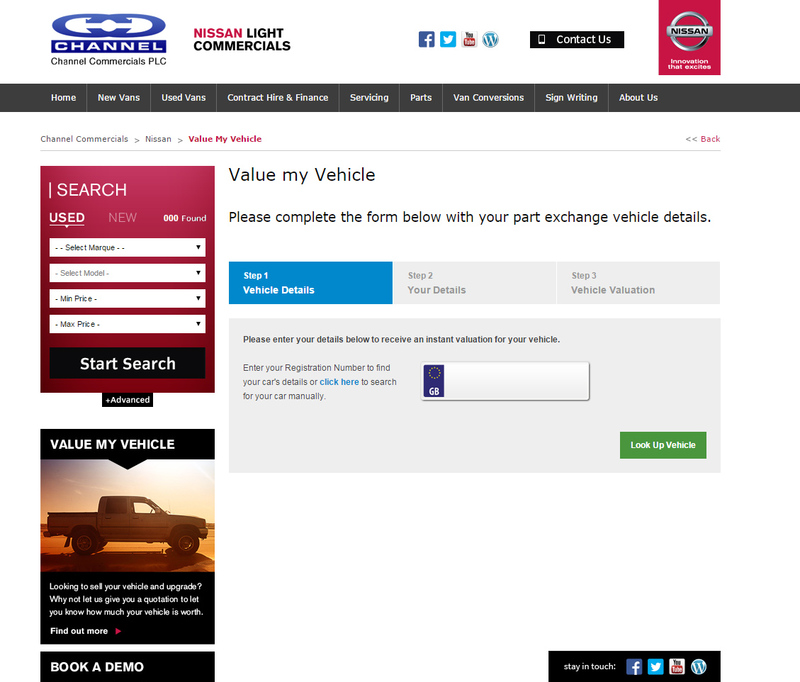 ‘Value my Vehicle’ is now in place as a quick and easy three step form on the Channel Commercials website and Nissan van franchise site. This simple to use website widget, allows customers to get an idea of the worth of their existing vehicle should they wish to consider part exchanging it for a new Nissan van. Requiring the vehicle registration and a few simple details, an initial valuation can be instant. All valuations provided should be used as a guideline and none are made as an offer. Part exchange vehicles will need to also be seen in person by one of our sales representatives during the sales process. This helpful, online valuation tool should aid the customer in their search and fact finding process when looking for a new vehicle.